A WITTY AND FUN CLASSIC! Ronald Reagan is Vance Britton, a Confederate cavalry captain dispatched from Virginia by General Robert E. Lee to raise hell in the heart of Union territory, and raise hell he does with style and wit. 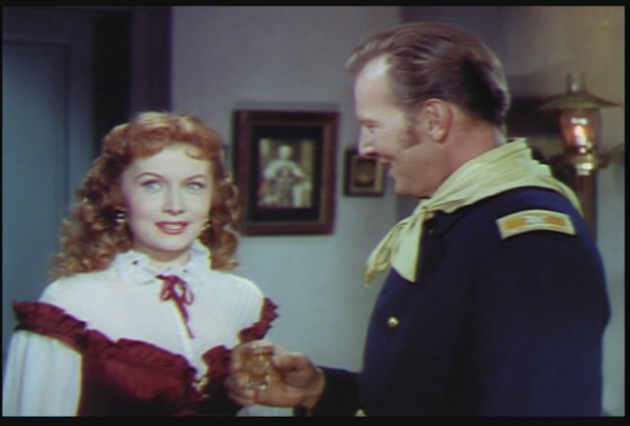 Opposite him in Union blue is his brother Colonel Jeb Britton (Bruce Bennett) who wears an occupational stiff-upper lip. Matters come to a boil when the unscrupulous Sam McQuade (John Ridgely) demands that Washington recruit the Native Americans to help the hapless Union troops weed out the Confederate raiders. Actually, all that McQuade wants is easy access to trade with the natives, so that he can sell them more guns and liquor. Vance catches onto this scheme and realizes he must intervene. Caught up in the middle of this fracas is McQuade's beautiful but unhappy wife Julie (Ronda Fleming) who also just happens to be Vance Britton's jilted ex. 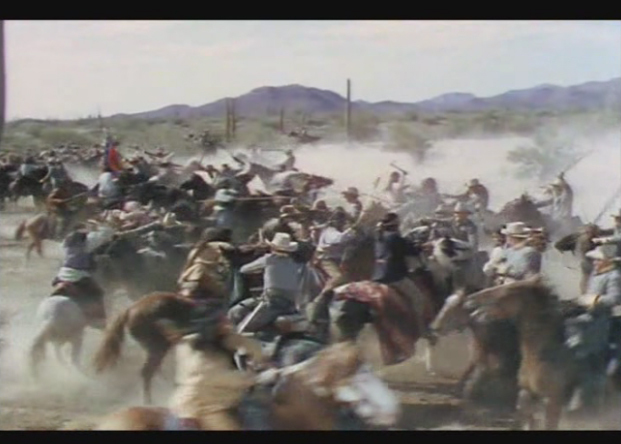 As Hollywood would have it, most of the principle players wind up trapped in a besieged town as the Indians eventually go on the rampage with the finale being a tense free-for-all bloodbath. 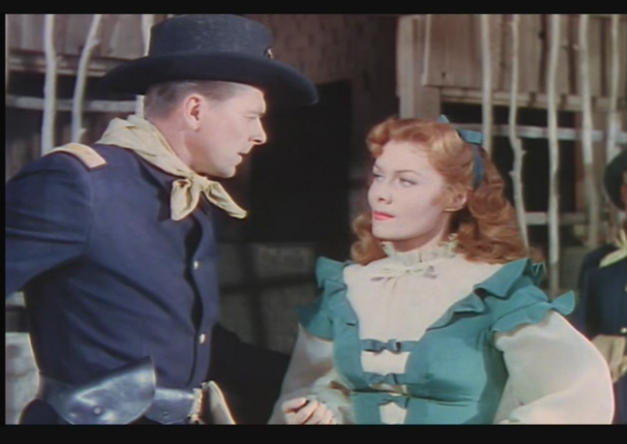 This was Reagan's first starring western roles and became one of his favorite films. He was especially happy that he was allowed to use his own horse, Tarbaby, in the filming. Reagan's character Vance Britton is absolutely audacious in his schemes - the first 30 minutes had me laughing out loud with how brazenly he and his men defy the hapless Union troops. 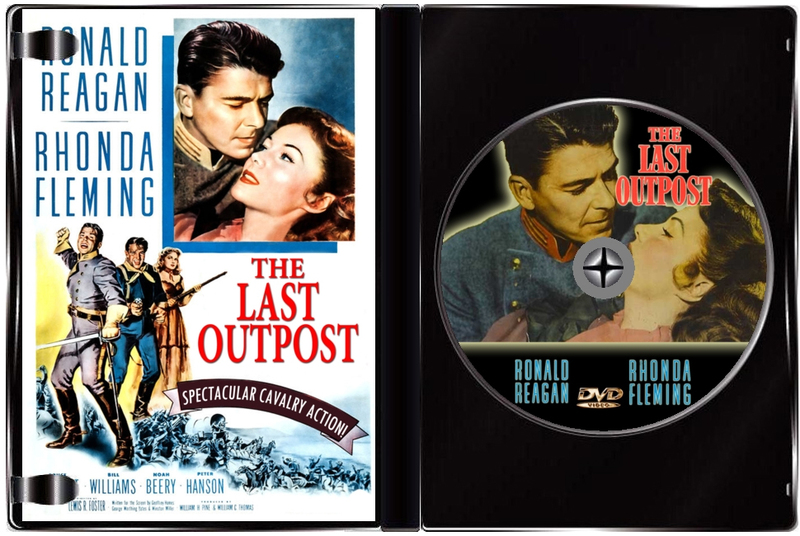 Happily, director Louis R. Foster keeps the tone of "The Last Outpost" as light-hearted as possible for most of this western's nimble 89-minute running time. 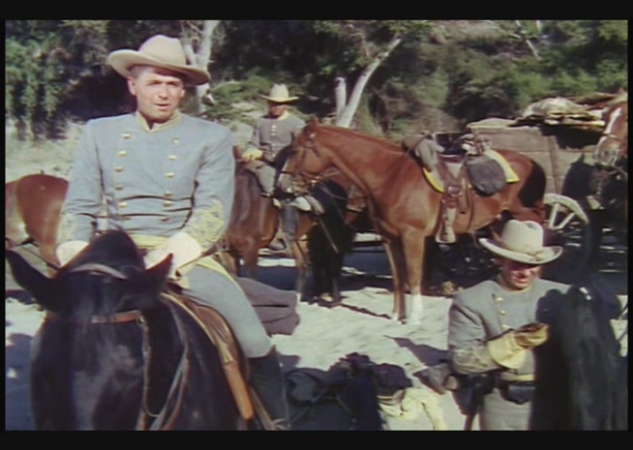 Veteran western character actor Noah Beery, Jr. flanks Reagan as a good ole boy CSA sergeant, while Bill Williams also rides at our hero's other side. 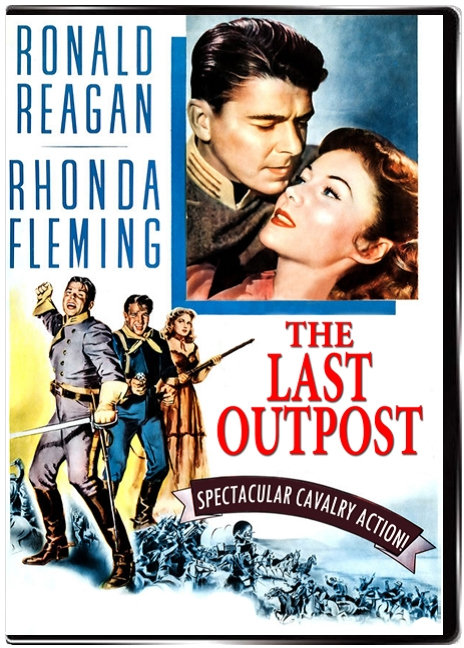 What "The Last Outpost" might lack in stature, this fun little western makes up for with its swift, sure pace and its exciting battle scenes.